When Microsoft acquired streaming service Beam back in August 2016, there was a great deal of cynicism surrounding the deal. Other tech giants like YouTube had tried to go up against streaming market leader Twitch and had, by and large, failed to make a dent. The Big M was even later to the party than the Google-owned behemoth, too. Many were expecting a pretty high-profile failure. So imagine our surprise when Microsoft's streaming offering has actually gone on to make a real mark on the sector following its Mixer rebrand and relaunch in May 2017. 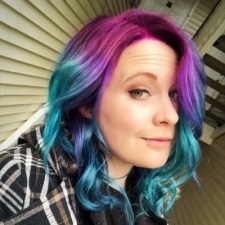 At that point program manager and Xbox gaming and disability community lead Tara Voelker says that Mixer boasted in the region of six million users. 13 months later in June 2018, that figure had more than tripled to 20m. In doing so, Microsoft proved that maybe it wasn't late to the party - something that Voelker claims was never a concern for the Mixer team. "I don't think we've ever thought we were too late. We aren't trying to compete," she says. "The live streaming space is huge. We don't need to take down other platforms to be successful. We can create our own space because it's such a large community. You do that by having different features, differentiating yourself rather than just mirroring what a competitor might do." And Mixer has certainly brought a wealth of new features to the table. Not only does the service boast a super low latency experience, there are also features such as Mix Play, which allows the community to interact with streamers in new and interesting ways. "There isn't really anything else like Mix Play on the market right now," Voelker explains. "There is both game integration, so for example, with Deep Rock Galactic you can press a button that spawns a baddie in the streamer's game that has your name on it. We also have streamers who are building their own interactive experiences with MixPlay. Some have jukeboxes where if they play your favourite song streamers can get points. We have people doing reactions - so you die and a viewer can send a gif saying they died with a funny noise. That experience isn't really on any other platform." Additionally, community has been a real focus for Mixer. Where looking at the comments section or chat on a service like Twitch or YouTube can be a somewhat painful and depressing experience, things tend to be pretty different on Mixer. "We focus on communities so we want a healthy community," Voelker says. "We have a very clear code of conduct, but we also have our Guardians, our enforcement team. If you are in chat, you'll see them labelled as Guardian because we really want to be about guarding the community and keeping it safe. We want a positive environment, we work hard to give the streamers the tools they need. There's an automated filter. But our average response time for filing a ticket that goes to the enforcement guardian team is under five minutes. That's really important. We want to keep that feedback. We want people to feel safe and know that if they see someone violating our code of conduct their report isn't going into the ether - we're here and we're listening." 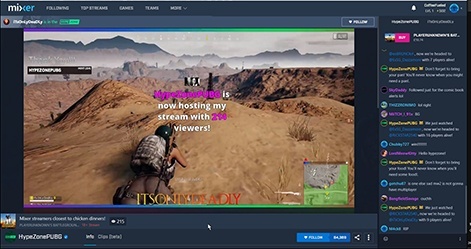 In turn, this positive community might help Mixer's streamers. If a marketer has to choose between more toxic fanbases - like those seen on Twitch - or one that is defined by positivity, it's entirely possible that they might choose to partner with an influencer using the latter. "Having such a positive community really allows our streamers and influencers to shine," Voelker admits. "Because a streamer will have a great community, so when someone wants to go deal with our streamers they know that they are getting this great community with them." 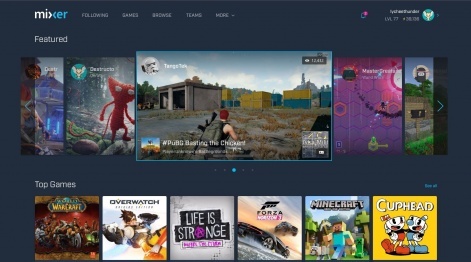 Mixer has not only tried to solve the problem of toxicity within the community, it has also tried to make the platform more accessible to newcomers. A more established platform like Twitch is harder to crack as the bigger personalities become bigger and take up more viewer time. To assist smaller streamers, Microsoft has introduced HypeZone. Right now this is a very battle royale-centric mode, with Playerunknown's Battlegrounds, Fortnite and Hi-Rez's Realm Royale, as well as Rainbow Six: Siege, using this feature. In short, HypeZone is a feature that switches between random streams right as the game is getting to its most exciting moments. Battle royale games are actually perfectly suited to this as the number of players alive is a clear indication of how tense the match is about to get. This switches between channels at random, not taking into account how many followers a streamer has, meaning that a super small personality can suddenly be thrust into the limelight showing off their skills. "We know that we have a lot of streamers who are both fun to watch but also amazing at gameplay and they need a way to get a little exposure," Voelker explains. "Once you've got a few followers, it's way easier to start getting more. The first few are the most difficult. Just giving these streamers the chance to showcase their stuff in front of other people can really make a difference. By just having an easy way for someone without a big following to have their five minutes to show how awesome they are good are, it's great. It makes a big difference and it helps diversify our content as well, which is really important. You don't want to watch five of the exact same streamer. you want to have different people with different personalities. They can be playing the same game but that doesn't mean it's the same streamer." Looking into Mixer's second year on the market, Voelker's aims for the service are largely tied to making it more accessible. "I want to make Mixer the most accessible live streaming platform available and make it the easiest place for people with disabilities to stream and view streams and be parts of communities," she says. "The immediate next steps we're taking to improve Mixer's accessibility is continually working on our keyboard navigation and screen reader support. In the past year, we've fixed over 80 bugs regarding just keyboard navigation because it does matter. It's been slow, but that's still a lot of bugs in one year specifically for keyboard nav and screen readers. "We also launched a feature called Shared Controller. If I'm a streamer, I can decide to virtually share my controller with the viewer. The viewer has an on-screen controller they can click with a mouse, or they can plug in a controller to their PC to use or they can use their Xbox controller. Then any button they press registers for the streamer on the game they're playing. We're investing in this feature to make it better. "Our streamers also build amazing accessibility tools with the Mix Play interactive that we put out there. It's looking at that and seeing what they're building and seeing how we can make it an internal feature rather than making people build one-offs."